We operate during school terms. The Dubbo volunteer committee holds monthly meetings on the 2nd Wednesday of each month, 5:30 at 24 Erskine Street. District towns please contact your local Coordinator for meeting times. The project began in late 2011 when Dubbo women Rowena Galway and Colleen Bruce joined forces with Donna Rees and Rachel Mills at the Dubbo and District Support Group for the Deaf and Hearing Impaired Inc. (also known as Dubbo Deaf Club) to help improve ear health services for children in Dubbo and Districts. Most of the members in Dubbo Deaf Club have children with otitis media ear conditions and were very keen to join together and help. We are a project of Dubbo Deaf Club. Based in Dubbo, we have 6 part time paid staff plus 2 volunteers working regular hours each week. 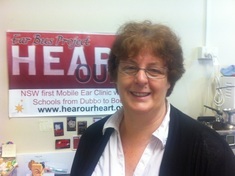 Kathy Green is a Hearing Support Teacher working 2 days a week for us in the school terms. Kathy will be leaving us in 2019 to take up full time teaching. 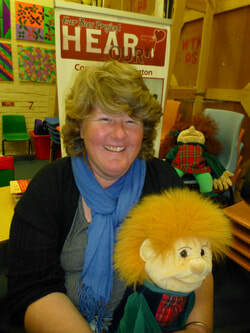 Therese Quigley is our Healthy Ears Teacher 2 days a week. Anita Rudolph (left) runs our office 3 days a week plus volunteer hours. Lauren Hawkins (right) is our Hearing Testing Coordinator 3 days a week in school terms. Gini begins 3 days a week in term 4 to learn the position of hearing testing to replace Kathy in 2019. She also contributes regular volunteer hours. Robyn Little(right) Audiologist visiting from Sydney 2 weeks per term. She also volunteers part of this time. ​Margo Piggott (left) volunteer Nurse Audiometrist from Gilgandra 3 days each school term. Our role is to fundraise, apply for grants and support where needed, the testing/education part of the program. Often our time is taken up helping to run the program therefore less time to fundraise. Our goal for 2019 is to reverse this! Our volunteer team as well as those to the right.